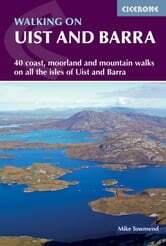 This guide offers 40 walking routes on the Uists and Barra - a unique 100km cluster of islands in Scotland's Outer Hebrides. 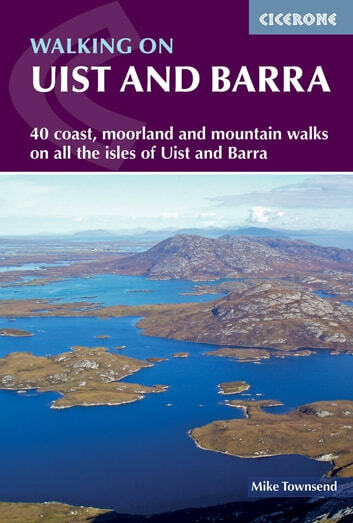 The walks are varied and graded, from short, flat beach walks beside crystal clear waters to long excursions across wild mountainous terrain, the routes visit all the major islands from Berneray to Vatersay but also those smaller and offshore such as Eriskay and Mingulay. Routes are described in four sections, by area, and illustrated with vivid colour photographs and OS mapping. Walking across these landscapes, especially the hill country, gives a sense of remoteness and peaceful solitude that cannot be found in the mainland's National Parks or on the Munros busy with peak baggers. Despite a relatively narrow area, Uist and Barra's diverse islands offer a contrasting walking terrain and many ancient historic sites such as chambered cairns and standing stones as well as lots of local wildlife. Upland areas are home to red deer and golden and white-tailed eagles, while along the coast grey seals are common and thousands of birds set up their breeding grounds in the machair. Daily flights between Glasgow and Benbecula as well as the ferry network mean that all of the islands are readily accessible.